People who were and still in software or IT industry must remember the excitement about IT or Software in late 90s as well as early 2000. Beyond doubt, that was one of the ideal times for the majority of people to enter into the IT or software industry. Even those who joined the good institute in good program at that point of time could progress their career as well as moved to the respectable position within a few years or so. That is today the face can be compared with the Digital Marketing industry, a highly growing career these days. 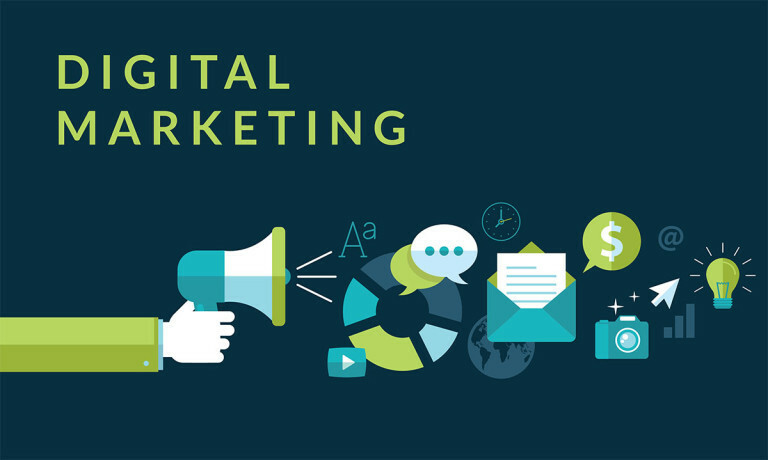 The Wave incorporated with Digital Marketing industry is so robust at present time that it is undoubtedly one of the best times to be part of this fast growing digital marketing industry, not the best time learn digital marketing from a good digital marketing training institute Kolkata. Being a part of this growing digital marketing industry, since last one decade, you must believe these are some of the best as well as top reasons to make one of the most rewarding careers in Digital Marketing industry in the year 2016. Let us see the top four reasons for a rewarding career in digital marketing. Digital Marketing Will Create 5 Lakh Jobs in 2016: In accordance with August 14 article published in Times of India, over 1.5 Lakh jobs in different areas like SEO, SMO, SEM and related areas are expected to be in Digital Marketing in the year 2016. Though the number can be changed, ups and downs, but this can be included in different areas of Digital Marketing Career profiles including technical and non technical. Earning handsome in between Rs 15,000 and Rs 250,000:Given the highly increasing gap between demand as well as supply of Digital Marketing professionals these days, one of the best Digital Marketer commands as much as higher average, yet handsome salary compared to other industries personnel. India will Expected to cross 500 Million Internet Users by 2017:With over 3 billion or few more Internet users, approx 42% of world’s total population is online. In accordance with Feb 2016 report given by Google that the country India will have over 500 Million and more Internet users before the year 2017 as well as more than 80% of these users will hit the online by way of a Mobile Phone. Online Advertising Spend in India expected to cross Billion Dollars in 2016 – 2017:In accordance with Jan 2016 report given by Group M, digital ad spend in India will be accounted for 12.6% of all ad, and up from 9.8% in 2015. So the overall ad spend will grow up to Rs 57,576 crore in the year 2016 as well as digital advertisement will expected to grow up to over Rs 7200 crores. While the most important above mentioned statistics as well as trends speak about the opportunity of building a rewarding and handsome career in Digital Marketing, and the necessity of taking digital marketing training Kolkata, what is more fascinating is that the excitement related to this digital marketing job. Oh! Are you really excited? Jump in the wave of digital marketing and build your strong career.